We live in a convenience-based society. Between Amazon Prime shipping various household needs straight to our doors, and food apps like DoorDash and UberEats keeping us well-fed without leaving the couch, it’s become more convenient than ever to satisfy all our needs online. As city dwellers, we want life to be easier, cheaper, and more convenient — and multinational corporations have become very skilled in fulfilling those desires. But part of what makes Richmond so special to its natives, and to the consistent string of expats who flock to our streets, is the plethora of unique local businesses thriving in the city’s locally-oriented business districts. There is something for almost everyone here: from costume supplies at Premiere Costumes to used video games at Bits and Pixels, and comic books at Velocity Comics. Richmond’s merchants know how to do local business right; more importantly, the city’s residents do what they can to keep them alive. 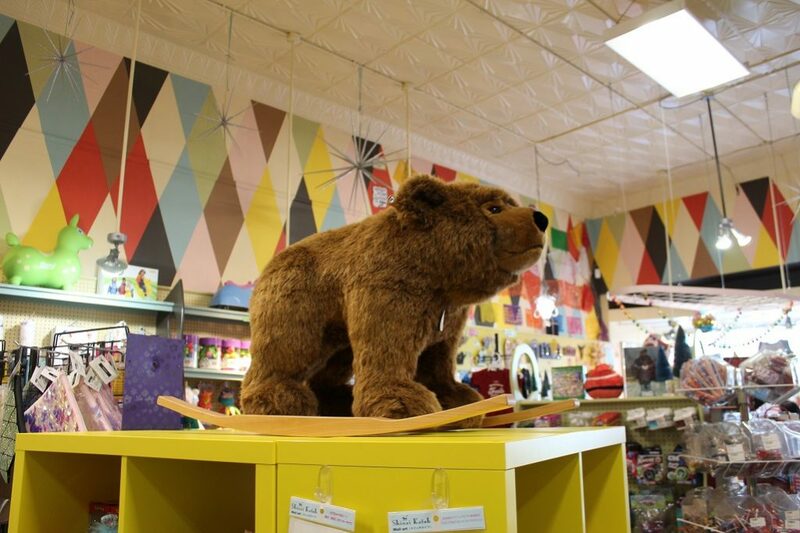 If Amazon is Goliath, neighborhoods like Carytown are our David. Despite the looming outsourced shadow of big-box giants, local business tends to do pretty well in the city. While there is no such thing as an average day for any small business owner, there are still more ups than downs to owning an independent business, having no corporate man in the sky telling you what you can and can’t do with your store. World Of Mirth owner Thea Brown also appreciates the opportunity to more-readily support her community. Last, year the store hosted a donation drive to gather toilet paper for Richmond Public Schools. During the government shutdown earlier this year, World of Mirth worked to help furloughed federal employees give gifts to their children with January and February birthdays. Sometimes reasons for local businesses to be cheerful come from unlikely places. One of those came for World Of Mirth when international toy giant Toys R Us closed all of its U.S. stores — this provided a small, but welcome, bump in new customers. Books and music have been tricky businesses since the advent of the internet, with electronic versions of both becoming more accessible to consumers with each passing year. Even for customers who are loyal to physical media, corporate giants like Barnes and Noble can offer discounts that make it hard for local stores to compete. 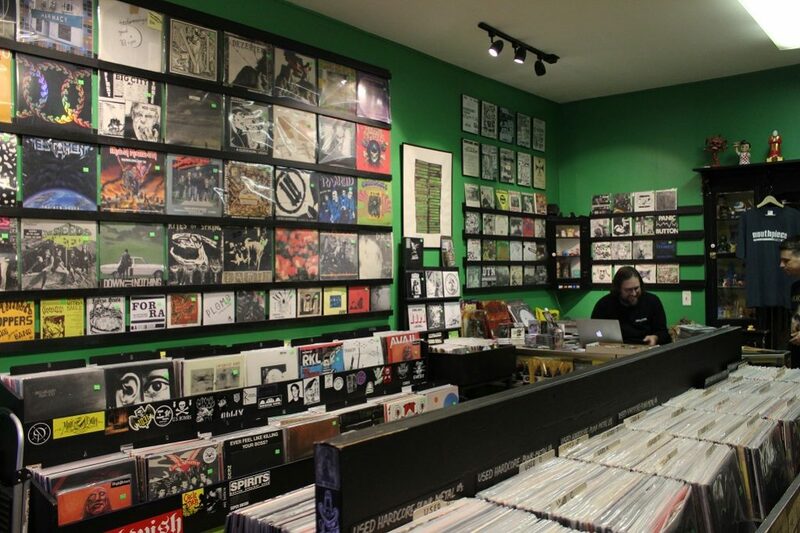 Nonetheless, Vinyl Conflict’s Egger sees the internet as good for business. Indeed, business-based tourism helps support the city as a whole. And it definitely is a thing. This was shown in dramatic fashion in 2018, when national grocery store Publix took over the former Ukrops/Martins grocery store in Carytown’s Richmond Shopping Center. As part of the strip mall’s planned redevelopment, shopping center owner Regency Centers evicted over a dozen local businesses, forcing longtime tenants like the Aquarian Bookstore and Carytown Burgers and Fries to find new homes. The response from city residents was not very happy, by any means. “We don’t like it when big companies uproot small businesses,” said Brown. Whether the disapproval will carry over to Publix once it opens in 2020 remains to be seen. Supporting local business doesn’t just help keep people’s dreams alive, it also keeps money in the community and gives our city a more distinct flavor. 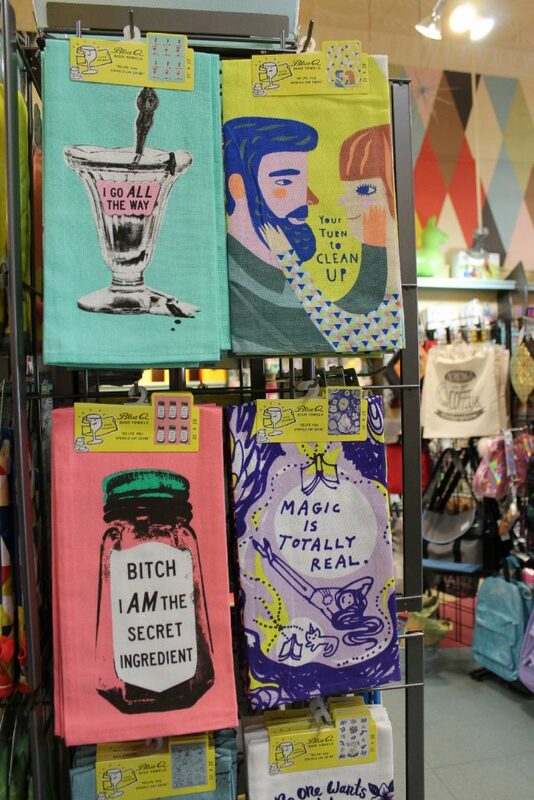 And nothing can replace the experience of walking into a unique store and finding things you can’t find anywhere else. “Keep Richmond Weird,” Brown concluded. More than 2,000 black children were robbed of an education during Virginia’s Massive Resistance campaign against school integration. Ken Woodley wants to give it back. 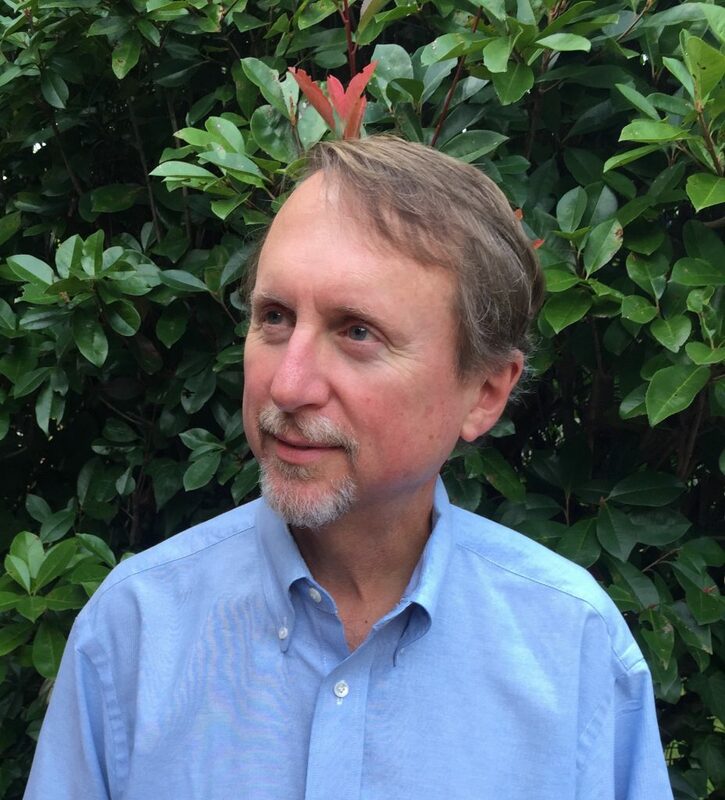 Ken Woodley, author of The Road to Healing, will be speaking at Chop Suey bookstore this afternoon. The Road to Healing centers around Woodley’s first-person account of the political struggle for, and subsequent passage of, the first Civil-Rights era reparations in U.S. history. The project aims to make amends for Virginia’s leadership and participation in Massive Resistance beginning in the mid-1950s. As part of this movement, Prince Edward County shut down every public school for five years beginning in 1959 — effectively robbing more than 2,000 black children and about 200 white children of an education. “I had the idea for the state to create a scholarship fund to give that educational opportunity back, realizing of course that those individuals were no longer children and that they were in their fifties,” Woodley said. None of us are responsible for the past, but what we are responsible for is our moment in time, the moment in time we share. We need to do the most we can, the best we can for each other. If there is a wound, and we have a way to bring healing to it, I think it’s our moral and civic responsibility to do so. Woodley said the idea for the scholarship fund came to him on his morning drive to his job as editor of the Farmville Herald — a publication which once staunchly opposed integration of schools — back in 2003. He heard on the radio that the Virginia General Assembly was debating a resolution of “profound regret” for the state’s role in Massive Resistance. At the same time, he recalled a discussion by the Prince Edward County School Board about awarding honorary high school diplomas to those who had been locked out of schools during Massive Resistance. Woodley began his advocacy for the scholarship that very day. Throughout the legislative battle that ensued from February of 2003 to June of 2004, Woodley kept a diary of every interaction he had with every elected official and Civil Rights icon he spoke to. The initial plan, Woodley said, was to eventually donate all these records to a museum. That changed in 2015, when his 36-year employment with The Farmville Herald ended with its sale and substantial downsizing. So, Woodley “downsized” himself, hoping that his salary would be enough to prevent further budget cuts. With an unanticipated amount of free time on his hands, Woodley decided to chronicle the narrative of the Brown Scholarship fund. Woodley enters the story in 2003, but it really begins on April 23, 1951: with sixteen-year-old Barbara Johns, who led a student walkout in protest of segregation at Robert Russa Moton High School in Prince Edward County. Barbara Johns’ case was eventually taken up by the NAACP and Oliver Hill, and became one of the five cases reviewed the landmark Brown v. Board of Education Supreme Court decision in 1954. Just as Prince Edward County was the epicenter of Massive Resistance, it was also the birthplace of the Civil Rights Movement. Today, 250 individuals benefit from the Brown Scholarship program, but that didn’t always look like it would become a reality. The scholarship required legislation to create the program and a budget amendment to allocate its funding. At first, the Virginia House of Delegates voted to create the scholarship program — but with no funding. Then, the Virginia Senate voted to allocate $100,000 over two years to the scholarship fund, a far cry from the requested $2 million. “Nobody believed people would use it,” Woodley explained. In the end, half of the funding for the scholarship program was financed by billionaire John Kluge. The other half passed through the General Assembly on Veto Day of 2004. Woodley says the story of the Brown Scholarships should serve as a model for the country, especially given the rise of white supremacy. 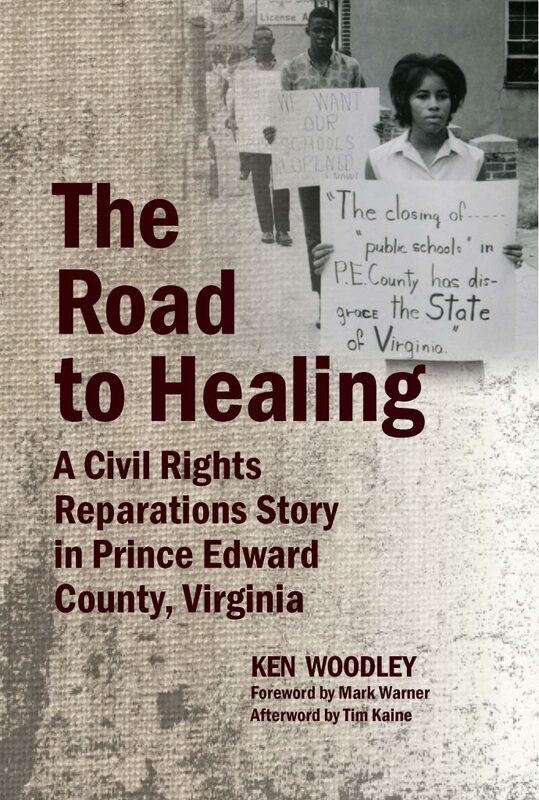 Woodley turned his records of the fight to create and fund the Brown Scholarship into The Road To Healing: A Civil Rights Reparations Story In Prince Edward County, Virginia. 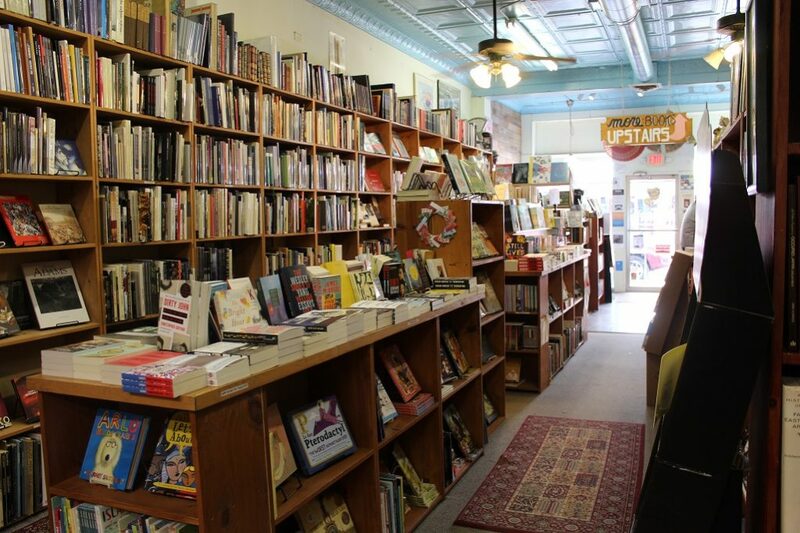 He’ll be reading from the book tonight at Chop Suey Books, located at 2913 W. Cary St. in Carytown, beginning at 6 PM. Copies of the book will be for sale at the event, and Woodley will be available for signings afterward. For more info, click here. If you know who Ryan Kent is, it’s probably from his role as a vocalist in several bands around town, most notably southern-fried metallers Gritter and brutal thrashers Murdersome. As a rather talented lyricist, though, it wasn’t much of a stretch to move into the poetry game, as he did with his first book, Poems For Dead People, back in 2014. Since then, he’s continued writing at a furious pace–he even mothballed an entire book’s worth of poems that he decided weren’t the right thing for him to release at that time. However, he has finally given the world another volume, in the form of This Is Why I Am Insane. This collection, admittedly rather thin at only 64 pages, is nonetheless jam-packed with poems, which often appear two to a page. Each poem is numbered, then placed into the collection out of order, in a sequence only clear to the author. The numbers are as low as 04 and as high as 151, and while not all the numbers inbetween appear here, enough appear to make clear that this project is the result of a sustained burst of creativity in which Kent cranked out a great deal of high quality material. He didn’t lack for inspiration, either, and the crucial inspirational factor is made clear by the opening lines of the first poem in the collection, “Flicking Her Heel.” “Well/I signed them/like the attorney asked/and like everything/else that fades away/like the hairline/and pride/and teen angst/so does love.” If it isn’t already clear, this is Kent’s divorce book. The subject of a failed marriage comes up multiple times, but the stronger focus of this book is the life that remains once the marriage is over–tales of a loner lifestyle involving too much time at bars, or sitting home alone. This is, for my money, the most striking moment in the whole collection, but there are plenty more to be found here. Kent has definitely developed a love for odd typography, placing large spaces between words, throwing down lines irregularly across the page, even sometimes s t r e t c hing out a word, or drrrrrrrraawwwwwwing it out across the page. At times, this works quite well; at the best moments it reminds me of Emily Dickinson’s many dashes of irregular length. However, at other times it almost feels like an obscuring device, like it’s being done to divorce the writer from the immediacy and impact of what he’s writing. The problem is, this protective device can also shield the reader from the full impact of the words. And they do hit hard. Really, a great deal of this collection’s poems would work best read out loud. This makes a ton of sense in light of Kent’s day job as a vocalist–he’s used to converting his notebook scribbles to spoken, sung, or screamed language. Fortunately, he realizes that this talent still has value where his poetry is concerned, and will be harnessing that gift by doing a reading at Chop Suey Books in Carytown on Monday, August 28 at 6 PM (click here for more info). Whether you’re a fan of his previous poetry, someone who’s rocked out to his bands, or a total newcomer, this reading is worth catching. Ryan Kent may or may not be insane (personally, I found him eminently relatable–if anything, I’m a little worried about the guy), but he’s definitely talented. Go see him at Chop Suey on Monday night, and pick up a book while you’re at it. It’s worth the trip. Follow Ryan Kent’s poetry at facebook.com/Poemsbythisfool.